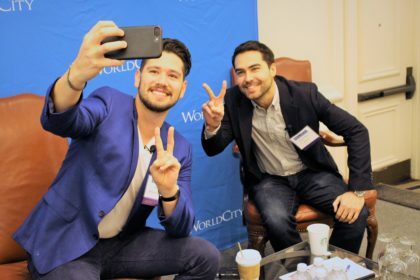 10 facts on the state of social media from Discovery, Starbucks, and Western Union - WorldCity, Inc.
A sold out crowd attended the latest Global Connections event from WorldCity: Social Media. New Ways. New Customers. 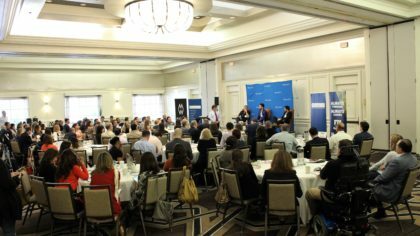 Those inside the Hall of Ambassadors at the Hyatt Coral Gables walked out with great insights from a panel of three of the major players in the industry from Starbucks, Discovery Networks, and Western Union. Storytelling is a critical skill in social media today. Linking engagement rate to business gained is still difficult. One way to link engagement to business? Loyalty programs. Once Facebook went public, it became pay to play. Track it, or it’s worthless. You don’t need to post every day. Online privacy is gone, but Millennials will still block your ads. Thank you to everybody who attended Global Connections: Social Media. New Ways. New Customers. 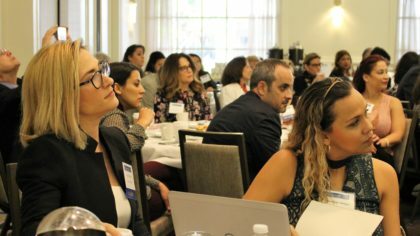 The next Global Connections will take place April 21st: Luxury Lifestyle Trends in Latin America. Register Now! 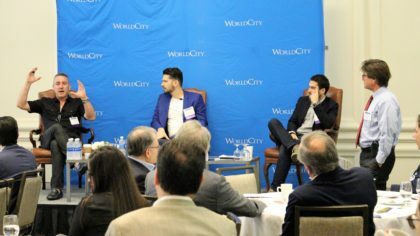 On May 5th, World City’s Luncheon Launch of World Trade Month takes place and will feature the 17th Annual Miami TradeNumbers. Register today. The HR Americas Conference 2017 is coming. Click here for more info.